Во время военных действий русский Черноморский флот не раз становился образцом храбрости и несокрушимой стойкости русских матросов, солдат и офицеров, доказывающих в бою, что и один в поле воин, коль по-русски скроен!. В программе военно-исторической реконструкции событий Крымской войны, 6 июля у поселка Первомайка, за Ялтинским кольцом, в районе Федюхиных высот будет разыгран эпизод Балаклавской битвы 1854 года. В 2013 году в Крыму снимут новые фильмы. В мае 2013 года при Белогорском парке чудес откроется собственная киностудия. 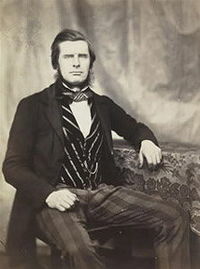 Роджер Фентона (Roger Fenton) родился 20 марта 1819 г., Кримбл-Холл, Ланкашир, в Англии. Его отец был банкиром и членом парламента. С раннего детства Рождер любил рисовать и, окончив школу, в 1838 году поступил в университетский колледж в Лондоне, где он изучал литературу, историю, право, логику, изобразительное искусство. В 1840 году Роджер Фентон получил степень бакалавра искусств и стал художником. В 1842 году Фентон уехал в Париж изучать живопись в студии известного французского живописца Поля Делароша. В 1843 году Фентон женился в Йоркшире на леди Грейс Элизабет Мейнард. Вернувшись в 1847 году в Лондон, Роджер Фентон продолжал учиться живописи и сдружился с художником Чарльзем Люси. С 1850 года оба художника вошли в состав совета директоров Северо-Лондонской школы рисования и моделирования. В 1849, 1850 и 1851 годах художественные работы Роджера Фентона выставлялись на ежегодных выставках Королевской академии. 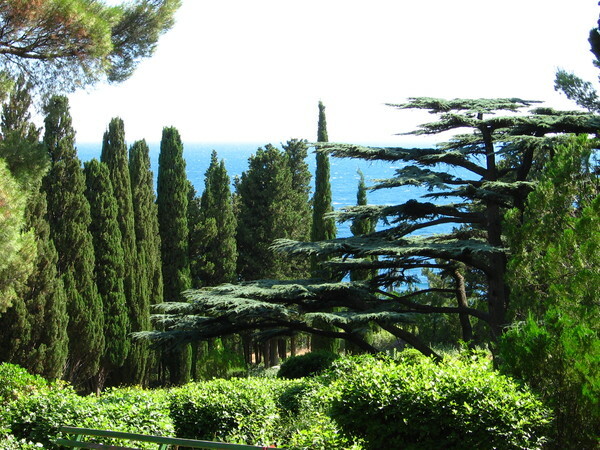 Our country is distinguished for an unusual variety of nature but there are few truly warm subtropical places on its immense territory — the South Coast of the Crimea. Each has features of its own. The Crimean South Coast enjoys a particular popularity. As the sociologists’ research has shown a tremendous number of people prefer taking a holiday precisely here, due to the traditions, proximity to the densely populated centers, reliability of the transport connections and, of course, the climate. A few kilometers away, beyond the mountain passes, a snow-storm may rage, while on the South Coast loquat and honeysuckle are in bloom. Sevastopol – the port of the Black Sea Fleet. 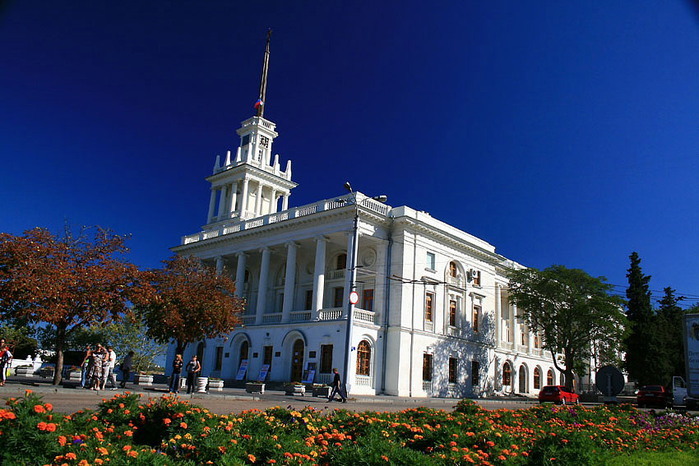 Sevastopol (“a city worth of worship”, Glorious City) has a special administrative status, a large sea port and a naval base of the Ukrainian and Russian Fleets, industrial, scientific and cultural center of the South of Ukraine. 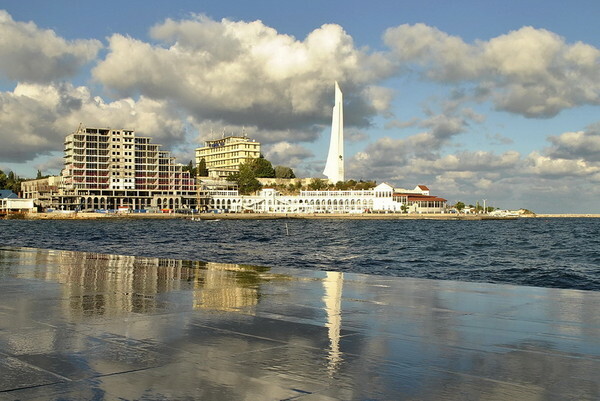 The territory of Sevastopol was settled at the beginning of the 1st millenium ВС. The rests of the fortifications of a Tauri settlement of the IX century ВС were discovered in the outskirts of Inkerman (Uch-Bash (Three Heads) height). 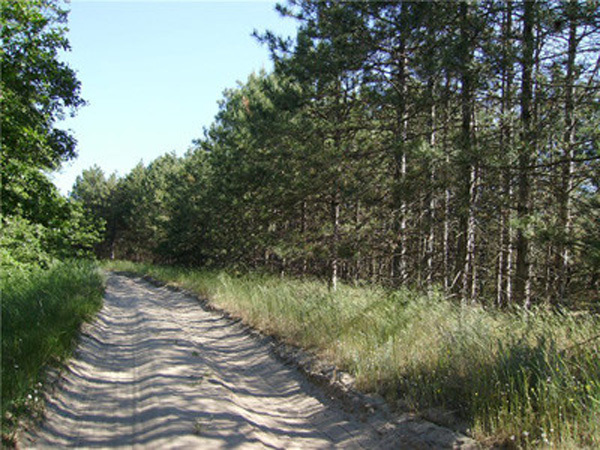 There are some burial grounds in the valley of the river Chernaya (Black river). 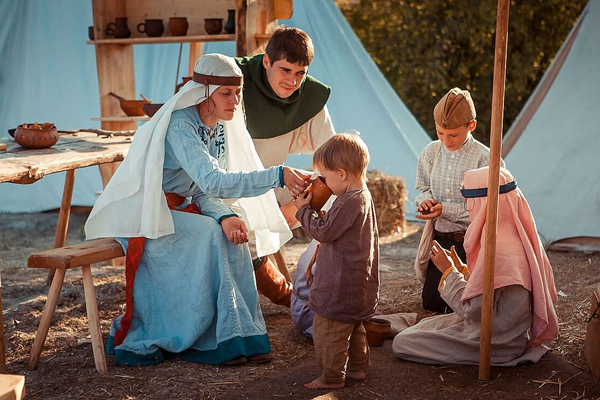 There were Tauri (VII century ВС) settlements near Balaclava. 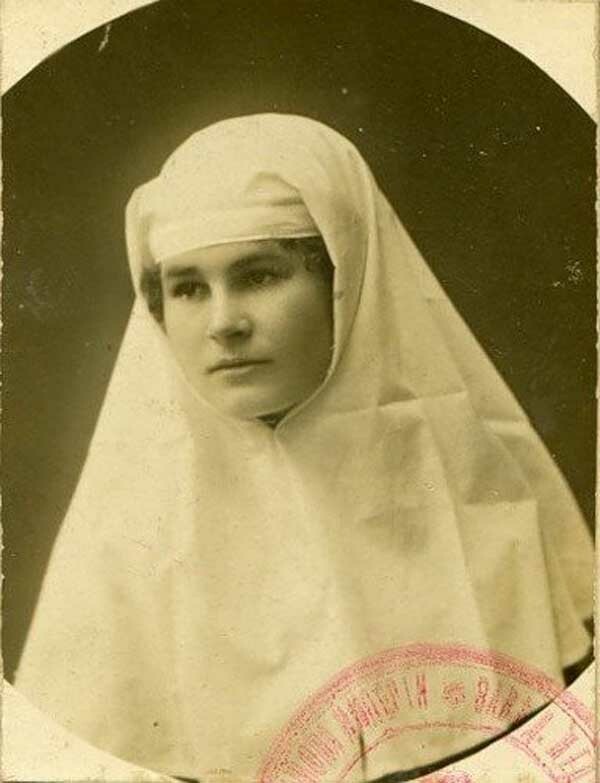 Karantinnaya and Pesochnaya. 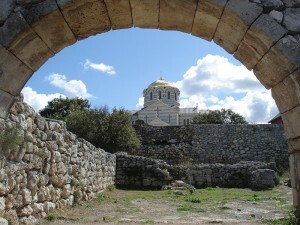 By the 1st century Chersonesus had fallen to the Roman Empire. Cherson was chief Byzantine bastion in the Crimea. 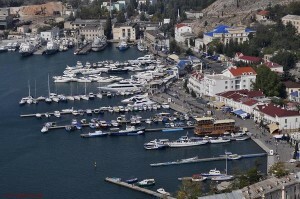 In 1770s Balaclava Bay became a naval base for ships of the Azov battleship flotilla. In spring 1773 the commander of the flotilla vice-admiral O.N. 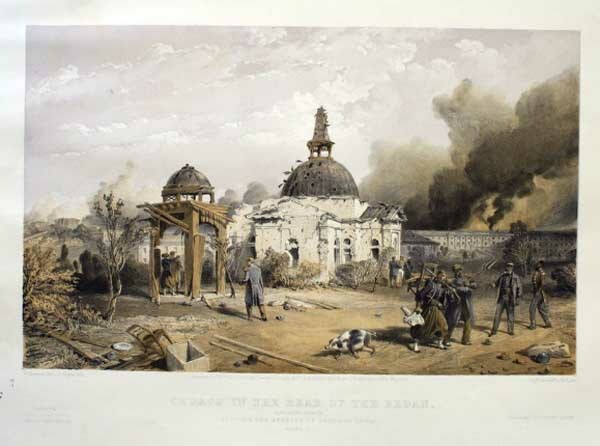 Senyavin (1716-1797) ordered to investigate the Bay of Akhtiar-Ak-Yar (White Precipice). The bay was investigated by the navigator I. Baturin from the battleship «Modon» under command of lieutenant F.F. Ushakov (1745-1817), future famous naval commander. 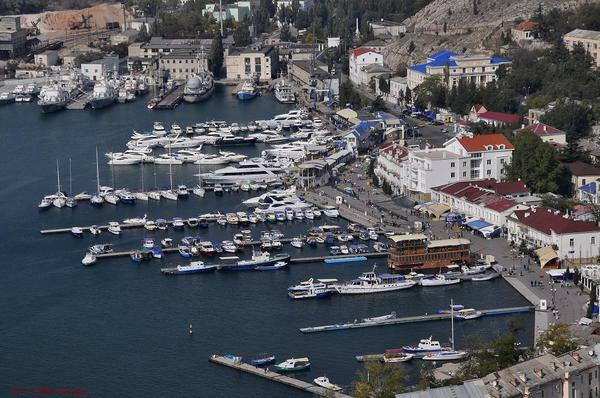 The bays were highly estimated by the commander of Russian troops in the Crimea Alexander Suvorov(1730-1800) who ordered to build fortifications at the bays and made them secure against the enemy’s battleships. built the barracks — the first building in the city to be. 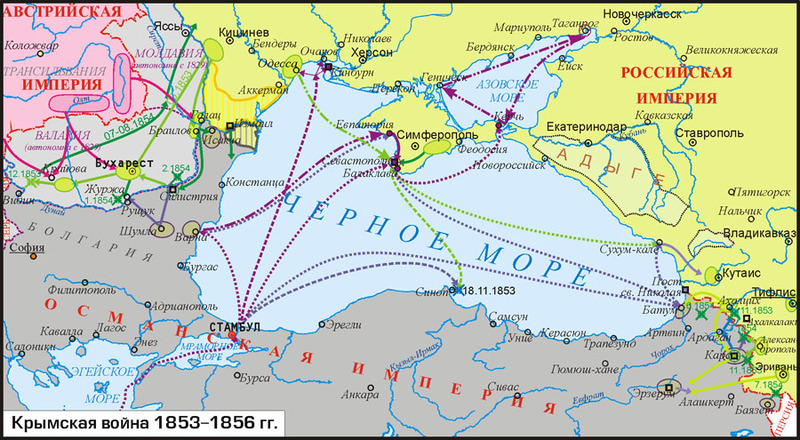 On January 11, 1783 vice-admiral F. A. Klokachev was appointed to»… command the fleets created on the Black Sea and the Sea of Azov.» The ships under his command entered Akhtiar on May 2, 1783. There were only 17 of them but it was already the Black Sea Fleet. D.N.Senyavin(1763-1831), famous fleet commander to be. On June 3,1783 the first stone buildings were laid: the house for the admiral, a wharf, a smithy and a chapel. 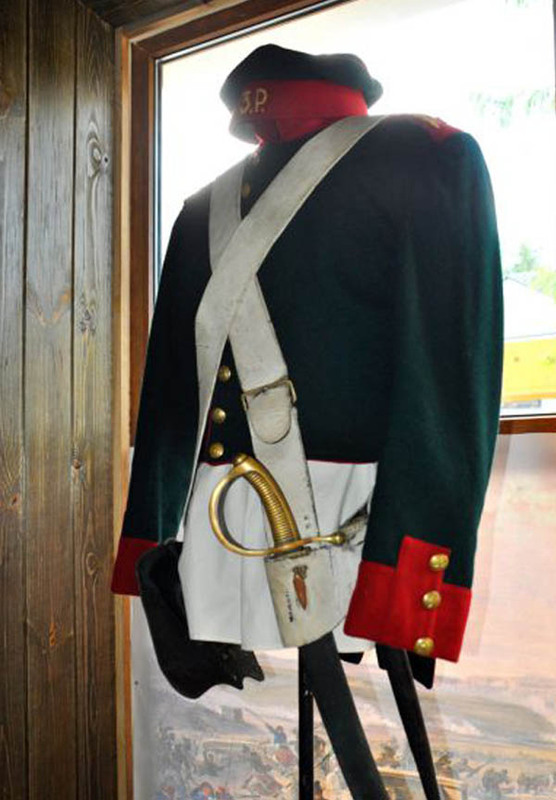 On July 2, 1783 the commander of the squadron F.F. Mekenzi reported to Peterbourgh about creation of the small Admiralty. 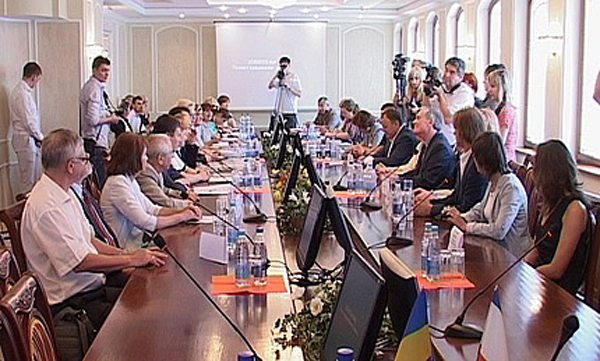 In the construction of the town many of the civilians from Crimea and the central Provinces of Russia were employed. 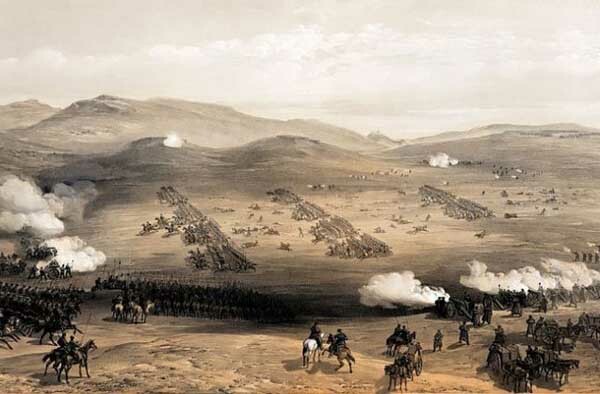 On January 10, 1784 in the instructions of Catherine II to Prince G. A. Potemkin it was advised that a strong fortress with a port and a military settlement should be built on the site of the village of Akhtiar. In 1790 rear-admiral F.F. 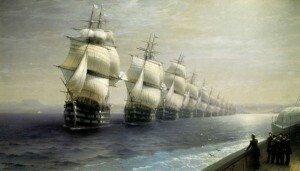 Ushakov became Commander of the Black Sea Fleet. 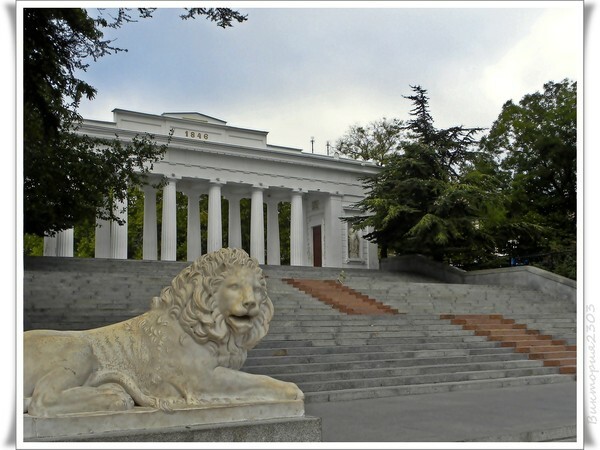 In 1824 the public garden, now Primorsky boulevard, was laid, later appeared Matrosky and Historical. In 1834 the first monument of Sevastopol was set up in honour of the heroic feat of the brig «Mercury». 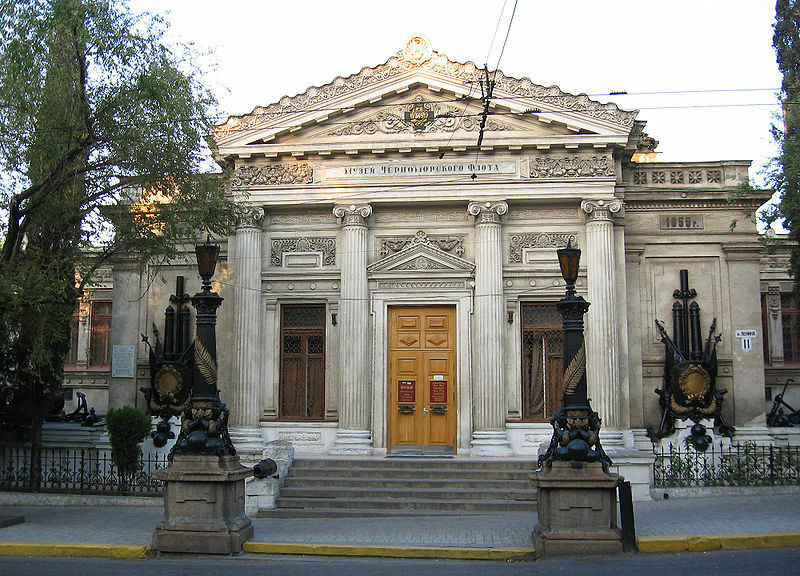 In 1871 on the initiative of M.M. Miklukho-Maklay the Sea Biological Station of the Academy of Sciences was opened. 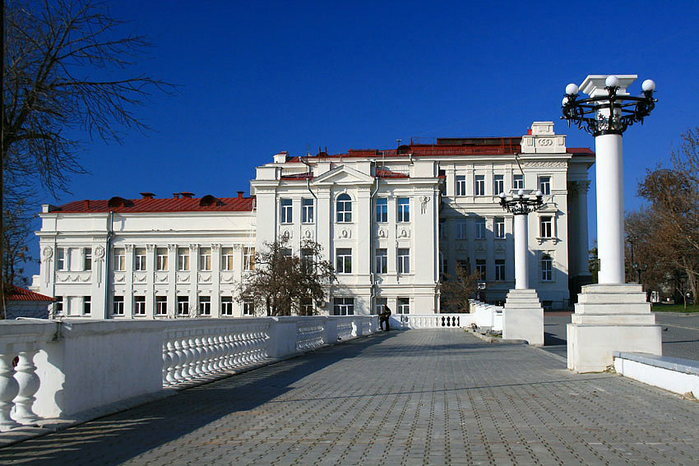 In Sevastopol the electric «candle» of P. N. Yablochkov was invented. A.S. Popov installed radio stations on the battleships. The Crimean war proved the necessity of a strong fleet. In 1883 in Sevastopol the iron c-clad battleships were built and seven years later the town was officially proclaimed a sea fortress. The Black Sea Fleet was the first to beat off the air attacks of the German fascists. The defense of Sevastopol lasted 250 days. On May 9, 1944 Sevastopol was liberated by the armies of the 4th Ukrainian Front. Day and night the torches of Eternal Glory burn over the Hero-City of Sevastopol. Sapun Mount and Malakhov hill hold them highest. Under the administrative authority of Sevastopol there are 2 settlements and 2 villages. Verkhnesadovoye (Upper Garden) is a village situated in the valley of Belbek River at the Highway Simferopol — Sevastopol. 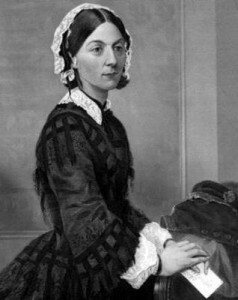 It appeared in 1850s. In the vicinity of the village there is a Tauri burial ground. During the defence of Sevastopol 5 seamen of the Black Sea Fleet at the cost of their lives stopped the German tanks in November 1941. There is the Diorama dedicated to the heroic feat of the seamen. The farm center of Verkhnesadovoye specializes in vine growing and gardening. 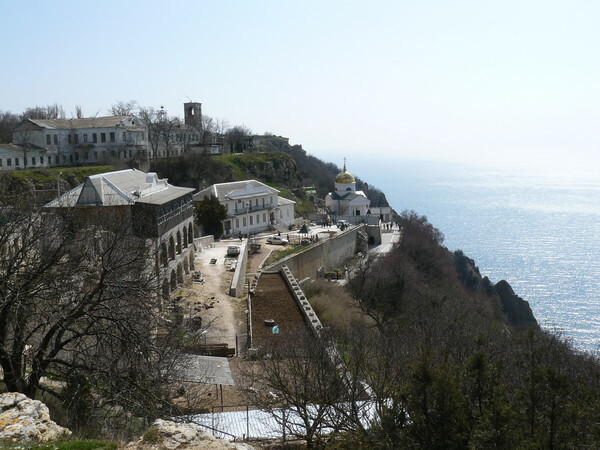 Kacha is a settlement situated 23 km from Sevastopol at the Black Sea coast not far from the estuary of the River Kacha. 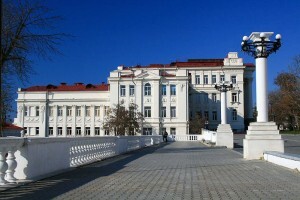 The settlement was founded in 1912 when the first in Russia pilot school was transferred here. The school existed till 1941. Among its cadets were the famous pilots G.P. Baidukov (1928), S.P.Suprun (1931), P.D. Osipenko (1932), B.F. Safonov (1934) , A.I. 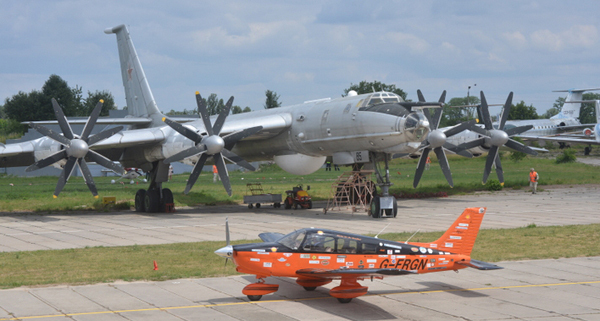 Pokryshkin(1939), Amet-Khan Sultan (1940),- the military school of pilots being transferred to Volgograd still bears the proud name of Kacha, glorified by the famous aces. The farmers of Kacha are engaged in vine-growing and the farm center winery. Kamyshovaya Bukhta(Rushy Bay) is a settlement founded in 1952 in connection with the organization of the Azov-Black Sea base of fishing and fish-processing. 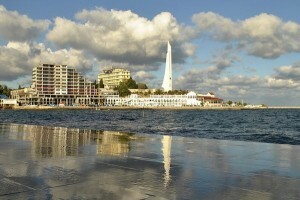 It lies at the Black Sea coast 13-km from Sevastopol. Kamyshovaya Bukhta is a base of the fishing industry union «Atlantika» which includes: fishing fleet, sheep-repairing yard, fish cannery and sea fish port. Orlinoye (Aquiline) is a village situated in the Baidar-Valley on the high way Sevastopol — Yalta 35 km afar from Sevastopol. The village came into being in connection with construction of the new high way. In the vicinity of the village there are 25 archeological monuments including the rests of settlings of the Palaeolithic and Mesolithic Ages. There are the ruins of a Christian monastery (X-XV cc.) and a feudal castle of the XII-XIV cc. The farm centre of Orlinoye supplies Sevastopol and the resorts of the South Cost of the Crimea with milk, meat, vegetables and fruits. The farmers are also engaged in wheat and tobacco growing as well as in raising vegetables under glass. 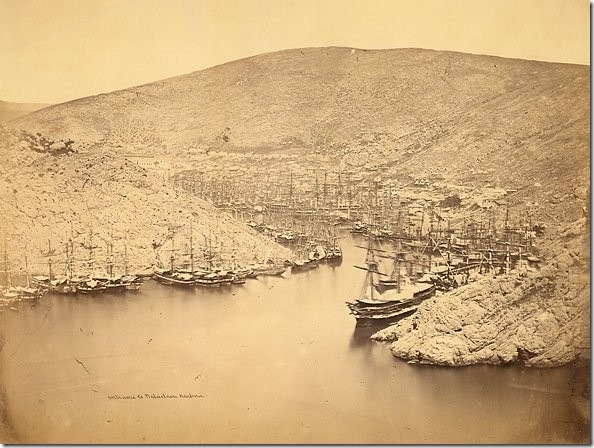 Sevastopol at the Crimean War 1853 – 1856. 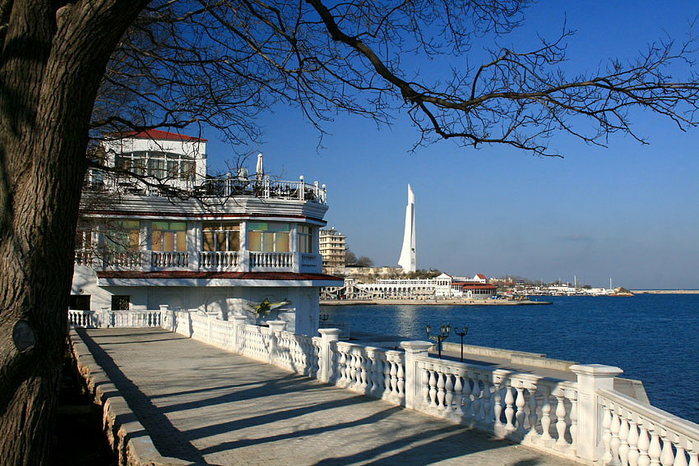 Sevastopol is a city of the wonderful destiny and history. 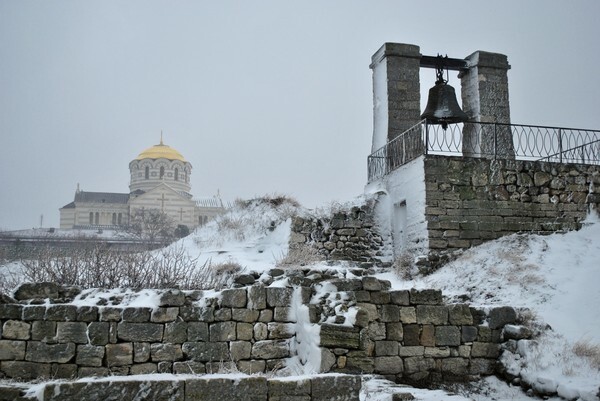 It was founded in 1783 as a new fortress and got the name of Sevastopol which in Greek means — “a city worth of worship”.